Pramila Jayapal, won the 7th District seat in the U.S. House of Representatives in 2016. She has a long history of activism and advocacy in Seattle. She founded the post-9/11 immigrant rights group Hate Free Zone (now OneAmerica), which has held massive voter registration drives. She is married to Steve Williamson. Pramila Jayapal was born in Chennai to Malayali parents who now live in Bangalore. Jayapal earned her bachelor’s in English language and literature/letters at Georgetown University and her M.B.A. from Northwestern University’s Kellogg School of Management. She moved to Seattle in 1991 and began working for an international public health nonprofit, PATH. 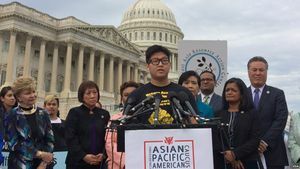 The Congressional Asian Pacific American Caucus hosted a press conference for illegal immigration in September 2017. The speakers included Jung Bin Cho, Judy Chu, Chirayu Patel (founder of DACA network), Nancy Pelosi, and Pramila Jayapal. Pramila Jayapal was endorsed by Our Revolution, an organization run by former campaign workers and supporters of former socialist presidential candidate Bernie Sanders. National Nurses United 2018 endorsements included Pramila Jayapal WI 7. Pramila Jayapal is a Berniecrat, a term used for those democrats (generally) running for office who have expressed support of former presidential candidate Bernie Sanders. A native of India raised in Indonesia, Pramila Jayapal became a US citizen in 2000 and quickly emerged as an essential activist in the state of Washington. After the September 11, 2001, terrorist attacks, she formed the group Hate Free Zone to advocate on behalf of Muslim, Arab, and South Asian communities threatened by violence and discrimination. Now known as OneAmerica, the group has earned broad recognition for championing immigrant rights, for its focus on voter registration and participation, and for its innovative campaigns to make real the promise of American democracy. Jayapal also worked to create Seattle’s Office of Immigrant and Refugee Affairs; played a pivotal role in selecting the city’s police chief (as chair of a high-profile search committee that emphasized the need for community engagement and accountability); and was elected to the State Senate in 2014. Pramila Jayapal, Founder & Executive Director, One America With Justice For All, was a 2010 Rockwood Leadership Institute National Leading From the Inside Out Alum. According to sister site Social Transformation Project, Pramila Jayapal is one " 240+ leaders who have completed Rockwood’s Leading from the Inside Out (LIO) National Yearlong Fellowship..."
Pramila Jayapal made several friends on the year long course. Ai-jen Poo, Director, National Domestic Workers Alliance, Rinku Sen, Executive Director Applied Research Center, Ilyse Hogue, former Director of Political Advocacy and Communications, MoveOn.org, Judith Browne Dianis, Co-Director, Advancement Project, Vanita Gupta, Deputy Legal Director, Director of Center for Justice, American Civil Liberties Union. The group has worked closely together ever since. Friday, September 13, 2013 roughly 200 women came to D.C. to march, blockade, protest and get arrested as a part of a mass demonstration on Capitol Hill. We Belong Together, an initiative of the National Asian Pacific American Women’s Forum (NAPAWF) and the National Domestic Workers Alliance (NDWA), organized the action. The protest featured various women’s groups that gathered, held hands in a circle and sat down on Independence Ave between Capitol Hill and House members’ offices. By the end of the day over 100 women were arrested as they called for a move on immigration legislation. Pramila Jayapal, a distinguished taconic fellow at Center for Community Change and a co-chair of the We Belong Together campaign has contributed several articles to the Freedom Road Socialist Organization linked magazine ColorLines. Pramila Jayapal says that's why she's celebrating the 10th International Migrants Day by dropping the i-word. Pramila Jayapal worked closely with Socialist Alternative member Jess Spear on the Fight for $15 campaign. Pramila Jayapal and Gloria Steinem. Pramila Jayapal March 16, 2014. Wow! We had a committed, fired-up, collective that assembled this afternoon to plan the Campaign Launch scheduled for April 1st at New Holly Community Center from 6pm - 8pm. Details to follow. Put it in your calendar now! Already, so inspiring when you hear why folks are jumping in to get Pramila elected! — with Mauricio Ayon, Abdullahi Jama, Charlie McAteer IV, Steve Williamson, Pam Keeley, Nimco Bulale, Mohamed Sheikh Hassan, Pramila Jayapal, Neha Vyas, Seferiana Day, Sharon Maeda, Rahwa H, Nafiso Samatar and Connie Burk. Pramila Jayapal is an immigration rights activist and Washington state senator U.S. House of Representatives, Washington’s 7th District. After State Senator Adam Kline announced his retirement in early 2014, Jayapal was one of several Democrats to enter the race to succeed him. She was endorsed by Seattle Mayor Ed Murray. She won more than 51% of the vote in Washington's open primary on August 5, 2014, out of a field of six candidates. She went on to defeat fellow Democrat Louis Watanabe in November. When progressive stalwart Jim McDermott retired, a seat opened up in one of the most progressive congressional districts in the country. Of the four candidates seeking the nomination, the India-born Pramila Jayapal is the only one to endorse Bernie Sanders. Jayapal, 50, also has been a prominent supporter of socialist Seattle City Councilwoman Kshama Sawant. She is endorsed by Washington MoveOn.org, Democracy for America, King County Labor Council, American Federation of Teachers and eight state senate colleagues. More than 70 regional community leaders and organizations have signed an open letter calling on President Barack Obama and Attorney General Eric Holder to use their authority to "stop assaults on freedom of speech and association, to halt FBI entrapment, [and] to keep nonviolent activists from being sent to prison.” The letter (attached) was issued by Seattle United Against FBI Repression. Signers to the letter include Larry Gossett, Chair of the King County Council; Alice Woldt, Executive Director, Washington Association of Churches*; Pramila Jayapal, Executive Director, OneAmerica; Juan Jose Bocanegra, El Comité Pro-Reforma Migratoria y Justicia Social; Angela Ying, Pastor, Bethany United Church of Christ; Rodolfo Franco, President, Washington Federation of State Employees Local 304*; Terri Mast, Secretary-Treasurer, Inlandboatmen's Union; Jafar Siddiqui, American Muslims of Puget Sound; George Bakan, publisher of Seattle Gay News; Steering Committee of the Seattle National Lawyers Guild; Western Washington Fellowship of Reconciliation; Freedom Socialist Party; Jane Cutter, ANSWER Seattle; Elmer J. Dixon, cofounder of Seattle Black Panther Party; and many others. According to Doug Barnes, an initiator of Seattle United Against FBI Repression, “People from a variety of communities have signed the letter because of their concern about FBI raids around the country on peace activists, labor organizers, Palestinian and Colombian solidarity groups, and socialists.” The raids began on Sept. 24, 2010 in Illinois, Michigan and Minnesota. Twenty-three activists have been issued subpoenas to appear before a Grand Jury or face imprisonment. The letter concludes, “We are greatly concerned about these threats to our democracy, our First Amendment rights, and the civil liberties of all people who reside in the United States.” Signers ask for a prompt “proactive response” from President Obama and Attorney General Eric Holder. Pramila Jayapal, August 7, 2016. Our volunteers are the heart and soul of this campaign. #JoinTheMovement! pramilaforcongress.com/volunteer — with Raisah Vesteinsdottir, Rachel Stone, Seth Bergeson, Zoya Gheisar and Hamdi Mohamed. "Pramila inspires us through her gifts, her hard work, and her ability to get things done." — with Jorge Bustamante, Jr., Pramila Jayapal, Michaela Murphy, Leigh Friedman, Alex Wenman and Honey Dotson. Pramila Jayapal isn’t the only candidate who supported Bernie Sanders in the state’s caucuses in 2016, but she is the one who’s running with a strong endorsement from Sanders, as well as from Congressional Progressive Caucus cochair Keith Ellison, climate activist Bill McKibben, feminist Gloria Steinem, 10 of her fellow state senators and dozens of local officials and activists, and groups like Friends of the Earth, the Planned Parenthood Action Fund, the National Organization for Women Political Action Committee, the NARAL Pro-Choice America PAC, Emily’s List, the Washington State Labor Council (AFL-CIO), the Progressive Change Campaign Committee, MoveOn.org, and Democracy for America. In 2016 Washington State's District 7 seat had become available because Representative Jim McDermott, retired after 37 years in the U.S. House. After winning the consequent primary Pramila Jayapal's victory in the primary was greeted with jubilation here in the Emerald City as hundreds of her grassroots supporters cheered her at a post-election celebration. Jayapal told the crowd in the Hale's Palladium Ballroom in Ballard, "You have fueled the flame of our movement with the clear belief that we can and will reclaim our government to work for all of us." If her words sounded like those of Vermont Sen. Bernie Sanders, it is not surprising. Jayapal is seen as an ideological soulmate of the Bernie Sanders grassroots "political revolution." Sanders endorsed Jayapal. Her 1,000 campaign volunteers were overwhelmingly Bernie supporters. Jayapal would face Brady Walkinshaw November 8. Like Jayapal, a serving Washington State senator. Elena Perez, community organizer for United Food & Commercial Workers (UFCW) Local 21 told Seattle Weekly at the election night celebration, "Pramila is one of the rare candidates I will do anything for....I trust her implicitly. I feel like if she is in Congress then I'm in good hands." Jayapal was endorsed by OneAmerica Votes, UFCW Local 21, UNITE HERE! Local 8, the Service Employees International Union, International Association of Machinists District 751, the American Federation of Teachers, and many other labor and community groups. The campaign knocked on 70,000 doors and made 140,000 get-out-the-vote phone calls. Imogene Williams was one of scores of members of Puget Sound Advocates for Retirement Action who worked hard to Jayapal in the primary. PSARA does not endorse candidates but Williams said she attended a house party for Jayapal at the home of PSARA President, Robby Stern, who personally endorsed her. "I'm very, very enthusiastic about Pramila," Williams told the People's World. "She is a wonderful candidate to work for. I asked for 400 pieces of her literature to cover my own precinct and the neighboring precinct to the north and distributed all of them. "Pramila won both of these precincts," Williams said. Walkinshaw will be her contender in November so we have our work to do. Pramila is a truly progressive candidate. Washington is moving forward." Writing in The Nation magazine, John Nichols quoted Jayapal as saying, "We're building a movement that can clearly stake out a positive vision for the future of America at a time when too many people feel cynical about change, and when too many people are struggling to make ends meet and put food on the table." According to Nicholls, Jayapal argues that "corporations and special interests have their voice in Congress, and they have too many members scared of their power. What Congress needs is a progressive voice who is unafraid to take on these powerful interests-who is willing to fight for all Americans, not just the wealthiest one percent." Nichols wrote that Jayapal joins "a number of the Democrats ... being nominated for the House [who are] progressives who really could change the chamber and the country." David Ayala was, in 2016, a Field Oganizer with the Pramila Jayapal for Congress campaign. Pramila Jayapal, Congresswoman was a speaker at People's Summit 2017. In June 2018 Shaun Scott was a field organizer for Congresswoman Pramila Jayapal’s re-election campaign, and an organizer for Seattle Democratic Socialists of America. .
Communist Party USA member Judith LeBlanc approves of Pramila Jayapal. Freedom Road Socialist Organization supporter Jodeen Olguin-Tayler strongly approves of Pramila Jayapal. In 2017 Pramila Jayapal was a new member of the Congressional Progressive Caucus. Pramila Jayapal, U.S. House, Washington 7, was endorsed by Democracy for America in 2018. Pramila Jayapal with supporter Mike Tagawa May 2014. Senator Kamala Harris, D-Calif., introduced her first bill February 2017 that would provide legal counsel to those held or detained while trying to enter the U.S. The Access to Counsel Act would allow lawyers to provide legal counsel by phone or video if they cannot physically be present. It would also invalidate any documents abandoning legal resident status or applications for admission if detainees have signed them after being denied legal services. Harris’s Access to Counsel Act is not without congressional support; there are five co-sponsors in the Senate, including Tom Carper, and Rep. Pramila Jayapal, D-Wash., introduced the House companion measure, which has 10 co-sponsors. The measures introduced by Indian American congresswomen Harris and Jayapal have also received support from multiple organizations, including the Council on American Islamic Relations (CAIR), the U.S. Committee for Refugees and Immigrants, and the National Immigrant Justice Center. “As the Trump administration is attempting to close it borders to refugees and asylum seekers, prompt access to lawyers for people who come fleeing persecution is a critical safeguard to ensure they receive the protections guaranteed under U.S. and international law,” said Mary Meg McCarthy, executive director of the National Immigrant Justice Center. Pramila Jayapal May 10, 2014. With Arsalan Bukhari, Executive Director of the Council on American-Islamic Relations — with Arsalan Bukhari. Honorary Co-Chairs of the briefing included: Senator Mazie Hirono (HI); Senator Richard Blumenthal (CT); Senator Ben Cardin (MD) Member Co-Sponsors of the briefing included: Congressmembers Keith Ellison, Andre Carson; Raul Grijalva; Ami Bera; Grace Meng; Mark Takano; Pramila Jayapal; Raja Krishnamoorthi; Ro Khanna. Judy Chu also attended. All are invited to attend the Commemoration and Book Launch Party celebrating of the lives and work of Silme Domingo and Gene Viernes, and the publication of Summary Execution: The Seattle Assassinations of Silme Domingo and Gene Viernes by Michael Withey, from 6 to 8 p.m. on Tuesday, March 20 (2018)at the Seattle Labor Temple, 2800 1st Ave.
On June 1, 1981, Domingo and Viernes, two young Filipino activists were murdered in Seattle in what was made to appear a gang slaying. The victims’ families and friends suspected that they were considered a threat to Philippine dictator Ferdinand Marcos and his regime’s relationship to the United States. In the days after the murders, they formed the Committee for Justice for Domingo and Viernes to investigate. In Summary Execution, attorney and author Michael Withey describes the 10-year struggle for justice waged by that committee. They came from all over, took planes and buses from 47 states, slept at friends' homes or in churches and prepared to be arrested Thursday June 27, 2018in Washington, D.C.
Ana Maria Archila, executive director of Center for Popular Democracy, said calling for the disbandment of ICE "would have seemed absurd even a few months ago." Organizers of the D.C. rally said similar protests will take place in 351 congressional districts across the country. Congresswoman Pramila Jayapal July 24 2018. So great to spend time with Alexandria Ocasio-Cortez today. Excited to welcome her to Congress and to move a strong progressive agenda for the people together! Pramila Jayapal September 18, 2016. With Juliet Klem, Dan Jacoby, Alice Chang, Kyle Schneider, Jacob Holt, Pramila Jayapal, Doria Nelson, Sarah Brady, Jorge Bustamante, Jr., Jose Mariscal-Cruz, Matt Yoo, Andrzej Montano, David Ayala Zamora, Todd Prieb, Hamdi Mohamed and Stephane Estevao Narita. Pramila Jayapal May 29, 2016. With Jacob Holt, Mauricio Ayon, Isaac Sheldon Urner, Elisabeth Rose Astwood, Justin Baird, Elena Justine, Rebekah Baker LaSala, Sarah Brady, Pramila Jayapal, Stephane Estevao Narita, Hamdi Mohamed, Diana Rocha, Dan Jacoby, Catherine Tonsberg Syfert, Jake Kaminetzky and Nolan Bush. 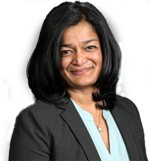 In 2018 Progressive Democrats of America endorsed Rep. Pramila Jayapal , WA-07. Pramila Jayapal WA 07 was endorsed by Justice Democrats for 2018. Congressional supporters by December 20 2018 included Pramila Jayapal. By February 20 2019 endorsers of Alexandria Ocasio-Cortez's HR 109 (Green New Deal) included Pramila Jayapal. Medicare For All Congressional Caucus founders were Representatives Pramila Jayapal, Keith Ellison, Debbie Dingell. “It is past time to shift the health care burden off hard-working families by streamlining our health care system, instead of padding the pockets of the insurance companies,” said IAM President Robert Martinez in a statement. Jayapal called the union support “unprecedented,” even though a prominent past backer, the Steelworkers, isn’t on the list yet. Nor is the AFL-CIO, which included single-payer in its health care initiatives endorsements at its last convention, in St. Louis. HR1384 would replace the private insurance industry and its 33 percent overhead share of the nation’s health care spending – along with its high co-pays, deductibles and cost-shifting to workers — with a government-run system that covers far more people and far more procedures than Medicare does. There would be a 2-year phase-in period involving Medicare growth. Reproductive rights coverage would be guaranteed and dental, vision, mental health, primary care and guaranteed total payment for hospital care would be added to the coverage mix. And HR1384 would eliminate the high deductibles, rising co-pays and high health insurance cost-shifting by employers that now plague both the present health care payment system and the country. Firms now unload health care costs on their workers, if they cover the workers at all. Weingarten noted the Auto Workers were forced to take over health care costs when GM and Fiat-Chrysler went broke during the Great Recession. The U.S. spends 19 percent of its gross domestic product on health care, far more than any other developed nation, “and has some of the worst outcomes” for all that money, Jayapal said. They include finishing dead last among developed nations in maternal health and infant mortality and declining longevity. “First of all, we cover everyone,” Jayapal declared. That’s in contrast to 30 million uninsured – including a ban, in the Affordable Care Act, on covering undocumented people – and 40 million underinsured. And while the ACA added millions of people to coverage – 330,000 in Cook County, Ill. alone, said Rep. Chuy Garcia, D-Ill. — too many people, several speakers said, are one serious illness, or one illness of a family member, away from health-care-cost-caused bankruptcy. Even people supposedly covered by the present system are still stuck with thousands of dollars in out-of-pocket costs. Jennifer Epps-Addison, executive director of the Center for Popular Democracy, told the crowd she usually doesn’t use her own story to illustrate problems, but she would here: Her husband, who has had multiple sclerosis for three years, is covered by CPD’s health insurance. But while single-payer has wide public support, it also faces determined opposition from the health insurers, who have already launched a multi-million-dollar scare campaign against it, from the GOP, which calls it “socialism” and from the radical right. The health insurers don’t even like a “compromise” to set up a government-run system alongside their firms – and let consumers and companies choose their coverage option. And one person in the audience held up a hand-made sign imploring four of Connecticut’s five representatives, all Democrats, to support the single-payer bill. The one not on the sign: Rep. Jahana Hayes, D-Conn., a first-year lawmaker, union member and former National Teacher of the Year. Hayes made single-payer a key campaign plank in her win in the Danbury-Waterbury 5th District last year. This page was last modified on 14 March 2019, at 03:52.